In this webinar, Nancy Evans offers practical guidance on how to offer programming that will support the engagement, growth, and achievement of girls. The program plans are simple enough to be applied by everyone who works with girls. Presenting this type of programming allows librarians to build meaningful relationships, have a positive impact on patrons and in the community, and follow programming guidelines outlined in the Young Adult Library Services Association's report, "The Future of Library Services for and with Teens: A Call to Action." With gender bias, inequality, and low self-esteem issues still at the forefront for women and girls, public library programming that addresses these topics fills a genuine need. Nancy Evans is a young adult librarian at the Levittown Public Library in Levittown, NY. She has written several articles for VOYA magazine and serves as a content expert for YALSA's Teen Programming HQ. 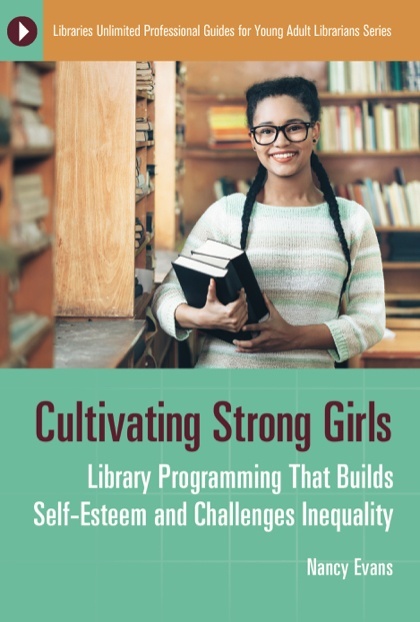 She has presented her library program "Strong Girls School: Create a Program Addressing Gender Bias, Inequality and Self-Esteem Building for Girls" at the PLA and ALA annual conferences. In 2017, she was named a “Mover & Shaker” by Library Journal magazine.